It looks like the market is not going to make a significant descending movement, that’s why the chart structure has been corrected. 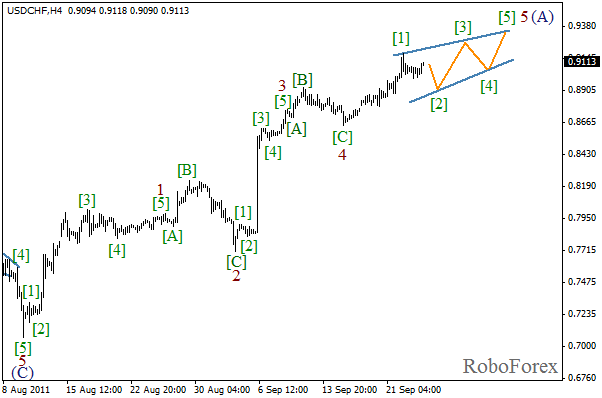 Most likely, at the moment the price is forming diagonal triangle pattern in wave 5. In the near term, the price may continue growing while forming this pattern. 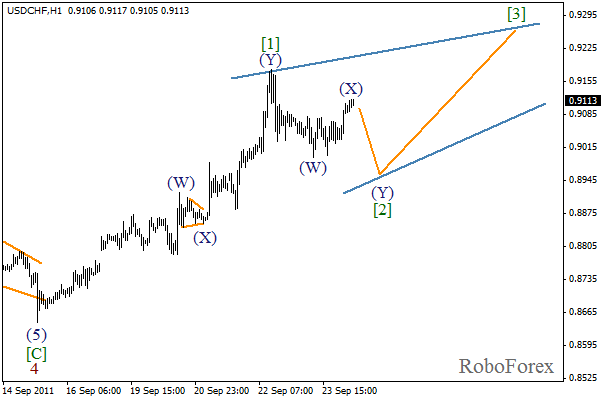 It looks like double zigzag pattern is being formed inside the second wave of diagonal triangle pattern. On the minor wave level we can see that wave (X) has almost been completed. Wave (Y) may start during the day, and after it is finished, we can expect the start of the third wave. Euro is near the minimums, the market was opened today without any gaps. It appears that the current descending trend is getting weaker. The bears were more active during the formation of wave (A) than now. Most likely, the price will reach a new maximum during the day, and after that we can expect the reverse. 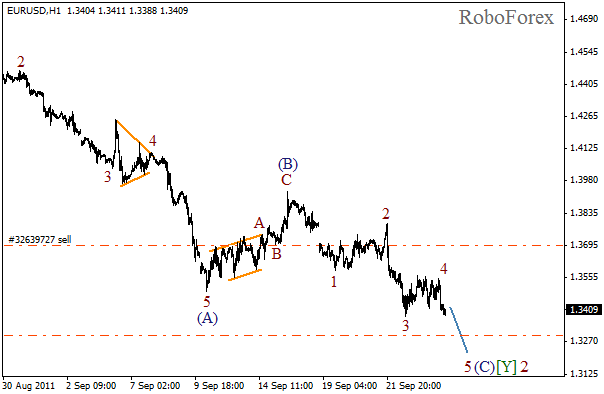 At the H1 chart we can see that the fourth wave was completed last night, and now the market is moving downwards inside the fifth wave. There is a possibility that the price may continue falling down. 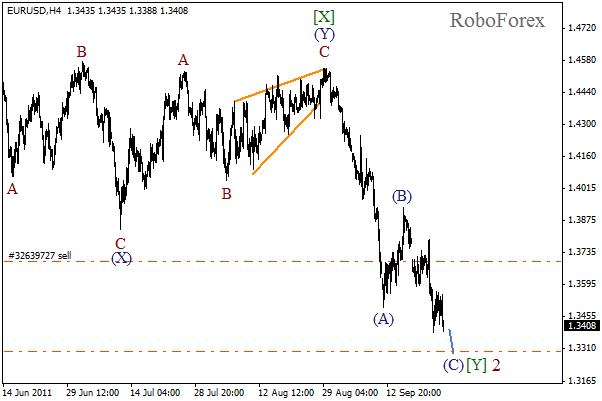 The target for the bears is still the same, the level of 1.3300.